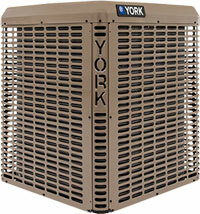 Harry Clark offers a variety of air conditioning products to meet any customer requirement. Higher SEER ratings and R-410A refrigerant mean more efficient operation for lower utility bills and environment friendly air conditioning. As a heating and cooling company, we want to make sure you are energy efficient as possible. Below is a list of some of our most prominent air conditioning systems. 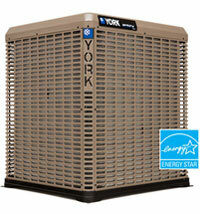 Click here if you are looking for cooling and heating repair to contact our maintenance line. Warm Air - If warm air is blowing out of your vents then you should check the thermostat. If your vents are still blowing warm air, then you may need repair services. Water Leaks - If you notice pooled water by your air conditioner then your AC system may not be running properly. Strange Smells - If you smell something strange coming from your AC system then you could have mold. Strange Noises - If you hear rattling or buzzing then your AC system may have a loose part. If you hear a whistling or grinding, then it could be something more serious. Insufficient Airflow - You may have a clogged air filter or a broken motor if you have poor airflow. Higher Energy Bills - If you notice a spike in your energy bills then it may mean that your AC isn't running as efficiently. Please contact us to learn more about our air conditioning services. We serve Berkeley, Oakland, CA and the surrounding areas. It is important that your AC system is working properly during the warm summer so don't hesitate to contact us!